We Found One Roof For All Your Artisanal Needs! Mumbai Peeps, We Found One Roof For All Your Artisanal Needs! The multi-storeyed Fabindia’s Experience Center is here (finally) and we have a new address for shopping/hanging out with friends and family. Located at one of Mumbai’s prime location, kemps corner, and spread over a 10,000 sq.ft. expansive area, this center houses a Fabcafe, an interior design studio, organic wellness center, an alteration studio and an interactive playroom for the little ones. If you’re heading out for festive shopping, this Experience Center is our best bet no matter what the season. From winter skin essentials to festive ethnic wear, they have it all for men, women and kids. 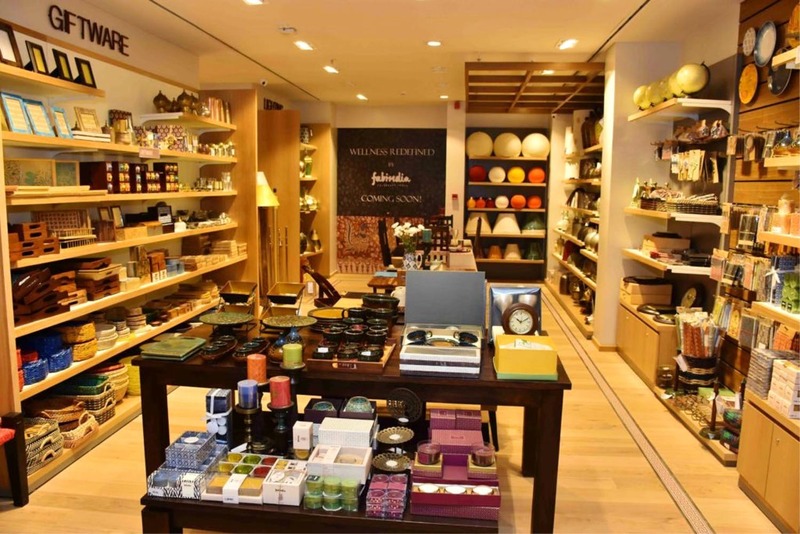 Featuring the complete collections of Fabindia apparels, home decor, personal care products and organic foods, there’s everything that you can stock up your kitchens and wardrobes with. Best part? If you have kids, you won’t have to drop them off at the neighbor’s or stress about leaving them alone at home when you’re heading out for a shopping therapy (because that can turn things upside down). Tag them along when you’re going for your retail therapy and leave them at the playroom at Experience Center for their little therapy. Mid-day hunger pangs while shopping? We understand shopping is your cardio and so does Fabindia. Hence they have curated a nutritional menu at Fabcafe that has calorie cutting dishes and drinks that will help you keep those diet goals in check. Some of our favourites are Chicken Brown Rice Biryani, Kathal Quinoa Biryani, Miso Grilled Chicken and Coconut Rabri. For drinks you can go for their straight-from-the-sugarcane-farms Ganna Juice and if you’re not fond of sweet surprises, go for the Kombucha tea and we bet you’re come back asking for more. Yes, our words aren’t enough for this massive store with everything dreamy and fab. If you’re looking to revamp your nook, head over to the Interior Design Studio and create memorable spaces with the help of their design experts and their consultancy on layouts, mapping spaces, product customisation and much more. They will hold your hands and help you colour coordinate everything from your home to your wardrobe. Bringing something for everyone, this center is changing the shopping trend in the city and you cannot miss it for anything.